God's promises sometimes take a little while. 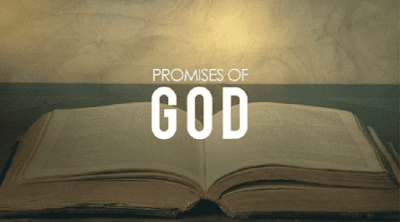 God doesn't always act right away, and in fact, from the very moments of our fall, from the very moment that sin entered the world, God had a plan - God promised us salvation. God promised us a remedy for the sin that had befallen us. It took that plan, however, quite some time to be carried out, to come to fulfillment, and many, most perhaps, began to lose faith and trust that that plan would be fulfilled. It took so long the people bagan to say: When will God ever answer us? When will God fulfill his promise for us. It has been said: slowly, and then quickly; slowly and then quickly. God slowly worked through the generations, one after the other, building up on the past so that his plan may come to fruition. But then, once the plan began to be enacted, things really began to speed up. The moment that this quickening began was the moment when the Immaculate Conception took place The Hand of God protected, at the moment of her conception, the Virgin Mary from the stain of original sin. From that moments the events of Salvation history really began to speed up. One thing led to another, and Christ entered the world. From there he died for our sins, rose again, and we are here now - continuing to celebrate that mystery. One of the occasions during this period of heightened activity in fulfillment of God's plan was the angelic annunciation of God to Zachariah. Zechariah, the father of John the Baptist, we hear about in our Gospel today. He was a priest of the temple and it was Zechariah's turn, after they cast lots, to go into the Holy of Holies where only a few priests would go each year, on very special occasions, When Zachariah entered the Holy of Holies he encountered the presence of God and God told him “you will have a son, your wife Elizabeth will conceive a child, even in her old age.” Being an old man and not used to the fulfillment of God's promises, Zechariah wasn't too sure about this. He doubted. He said something like “God, I don't see how that could happen!” I think many of us could understand his reaction, being in that kind of position, wondering how God is going to do this! How in the world could that happen? But from that moment of doubt, Zachariah was unable to speak. His mouth was closed, his tongue frozen, he was unable to utter a single word. His doubt became manifest in his inability to speak. It is this reality, the reality of John the Baptist and his specific role in Salvation History - both speaking the word of God, and pointing out the Word of God its very self. This reality is manifest in his father, Zechariah’s speechlessness. The doubts that had overcome the Jewish people, had closed their hearts the way it closed Zachariah's ability to speak. That is, until he came along. The relatives and neighbors, having becomes accustomed to Zechariah’s lack of voice spoke for him saying “we are going to name them Zachariah.” Elizabeth courageously and definitely said “no! His name is John!” AT that Zachariah had the opportunity to once more display his doubt, once more to be hard headed, to say to himself “God has not allowed me to speak now for at least nine months! I'm not going to do it. I’m not going to proclaim the truth now after all of this!” This time, however, he choose trust, he choose to listen to God’s word, to God’s promise and he wrote out “his name is John!” Zechariah accepted the word of God, he lived that hope the he had been called to live, and his mouth was opened once more. The word of God was heard again, for the people of God, the word of God, was alive once more. 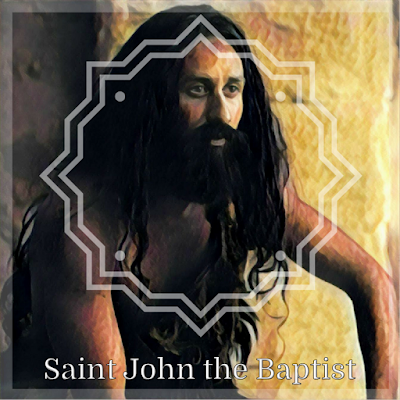 John the Baptist would go on to live that life, the life of the final prophet, to be an immense figure, a frightening figure. 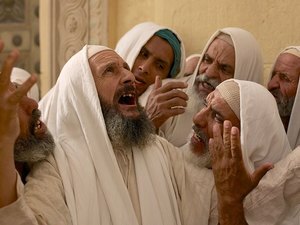 Even at his birth we hear that his neighbors and his relatives were afraid due to the events that had surrounded his birth - Zachariah, his mouth was close and then opened. It brought fear to people, but they soon began to hear his words. To hear how he was pointing out that the Messiah has finally come! One of the final, if not the final thing that he said, the final words of John the Baptist written in Sacred Scripture: “behold, the lamb of God!” There he is, after all this time, your hope has been fulfilled, the promises of God have come true! It is here! The time is here! Sisters and brothers, you don't need to be another John the Baptist. None of us really could. He's too unique a figure. Nevertheless, I think more of us probably could look a little bit more like John the Baptist, with the courage, the strength, the conviction to point out God and the Word of God alive in the world when we see him. To do so perhaps all we need is just a bit more hope that God's promises will continue to come true. You're not called to be John the Baptist, you are called to be who you are. 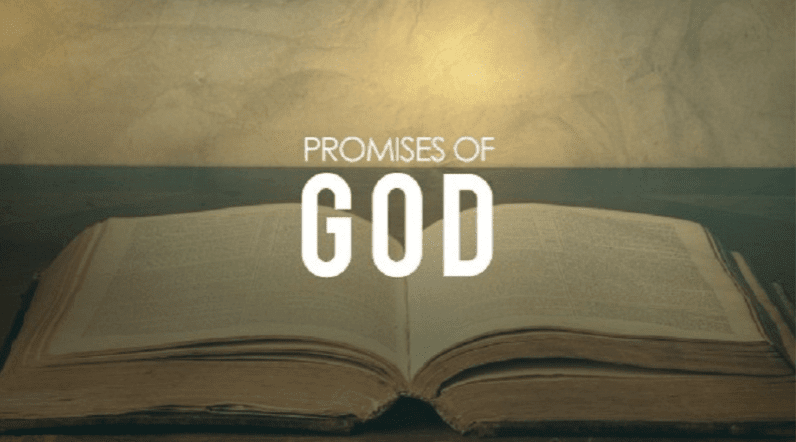 To live the promises of God alive in your hearts, to hope that God truly does fill his promises, to know and to live the reality of the Word of God active in your life! Speak that word. Let that truth live in you! Let the birth of John the Baptist, the final Old Testament prophet, inspire you to hope that God does indeed fulfill his promises. Was Saint John the Baptist Born without Sin? 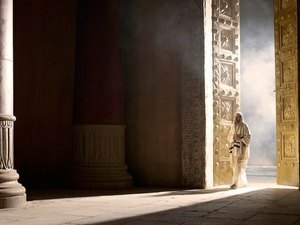 Was John the Baptist Born without Sin? This question was posed to me shortly after I began my assignment at Saint Patrick’s and it truly took me by surprise. My first thought, honestly, was what kind of heresy is this? Nonetheless, I listened to the question, heard the rationale behind the idea that he was born without sin, and conveyed my uncertainty. The topic had never come up in seminary, and I have never come across a definitive teaching regarding this notion. I had all but forgotten the idea when an article appeared in my inbox asking the same question! I read the article and began to realize that this question wasn’t simply one woman’s reflections on her grade school religion class long ago, it was a theological debate that has come and gone throughout Church history. Let us be clear, the question is not: was John the Baptist conceived without original sin? It is: was he born without original sin? I think this is where I got tangled up the first time. There have been only four people throughout salvation history conceived without original sin: Adam, Eve, Mary the Mother of God, and Jesus Christ himself – fully man, fully God. If John was born without original sin, he certainly was conceived with it. So how was he (possibly) cleansed of original sin? The Visitation. When Mary visited her cousin Elizabeth, who was carrying the child John within her, John leapt at the sound of Mary’s greeting. This action, and the fact that the Evangelist Luke took the time to include it in his Gospel, hints at the possibility that it was more than elated uterine somersaults taking place – it was the cleansing of John’s original sin BEFORE birth. The Church speaks of prevenient grace – the grace that saved Mary, at her conception, from original sin. Basically, the grace of the cross bestowed chronologically prior to the cross. 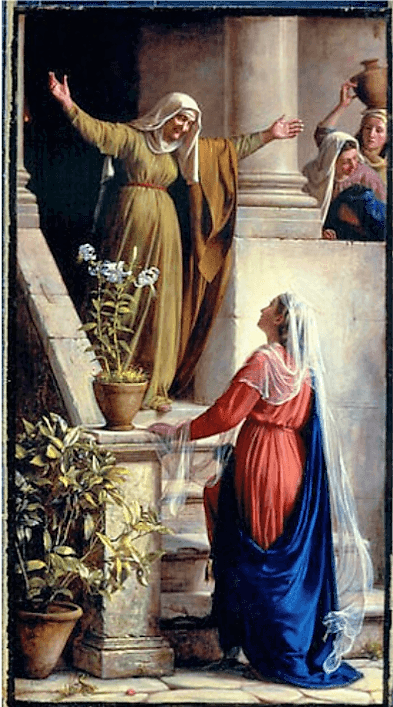 Perhaps… perhaps, the Visitation points at some form of prevenient grace that bestowed the grace of baptism, upon THE Baptist himself, before his birth? The Church has never definitively settled this issue, mostly because it does not directly affect our relationship with Jesus Christ, nor does our salvation cling to this spin-off theological debate. It is a curious question, however, especially when one asks a second question: why do we only celebrate three birthdays in the Church calendar? Click here to read the Aleteia article that rekindled my interest in this topic! There is a need for balance. I think it's easy for any of us to see how a father, if leaning too far to the hard working side can become a dictator, a taskmaster, only concerned about the job, and not about the person, seemingly uncaring. Leaning too far to the other direction and dad is really just kind of a joke. The dad on Modern Family perhaps, or for those who are a bit older, perhaps Married with Children. There's always the Simpsons. 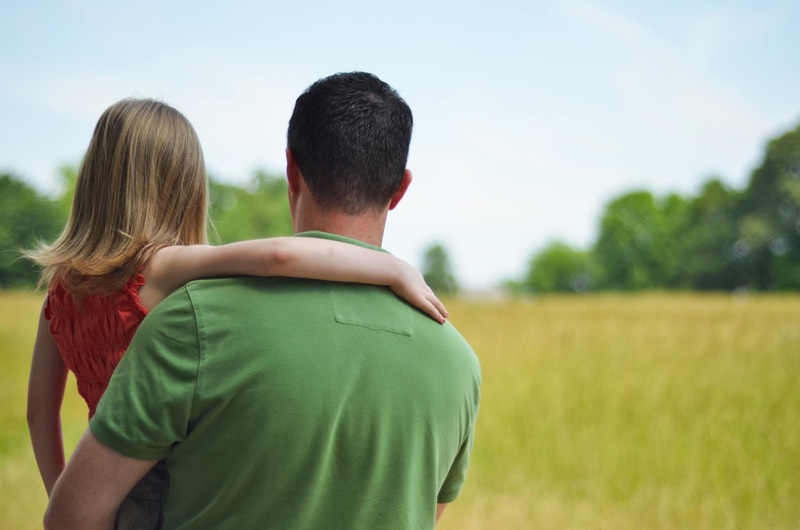 We need better role models in our society for dads. This kind of take it as it is, humor, that in the end, leaves children wondering not so much about whether or not dad love me, but how much is that love really worth? So balance, we all need balance, as do dads and so a balance between hard working and a little bit of humor come together to keep true love shining through for us. Now, dads aren't perfect. Some lean one way, some the other. Dads aren't perfect. They're human. Unless you have an old truck driver from Springfield Kentucky as a dad: would my dad please stand. This is my only opportunity every year to embarrass him. So there you go. I have a perfect dad. You don't know. But for the rest of us, we need balance in our lives, and so do our fathers, to help us learn that and to teach us as we grow. Our Gospel today really shows that balance in many ways. When we look at it the beginning of the Gospel talks about a man who goes out and sows seed in his field. And once the ground is prepared and the seed is sown he doesn't stand there and say grow! Get to work! He goes to bed. He gets up, goes to bed, gets up, goes to bed. The seed does what it will do. No pressure, no barating, no lording over the seed to make it grow. There's only so much work one can do. But when the time of harvest comes along, there he is, sickle in hand ready, to go to work. Right when the time is right. The balance is seen there, but then there is also the second parts of our Gospel, the the well known parable of the mustard seed. To understand this a little bit better it is paired, it is mirrored by the scene in Ezekiel. I think many of the Jews of the time would have heard this similar language. As Christ was proclaiming his parable, they would have recounted what you just heard that God would climb the tall cedar tree, and from the top of it prune a shoot, and bring it down and plant it on a tall mountain. From that shoot, from that branch, would grow a majestic cedar and large cedar, so large that the birds of the air which would come to fill its branches, would live underneath that cedar. How does Moses make his coffee? He brews it! They had no need! Mustard for the Jews, was a weed, simple as that, a weed. To actually find one, to take the time to find this little seed, to have the concern to even go and get it, and then the ridiculousness of planting it in your garden! Talk about a dad joke! It doesn't make any sense. It's ridiculous. The Jews would have wondered what Christ was talking about. Why would you put a weed in your garden? Intentionally! Not only that, but a really large weed in the end. The mustard seed was not only insignificant, it was actually a nuisance at times. 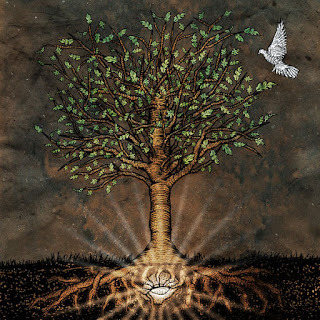 So we have this balance: the balance between a cedar tree and a mustard bush, both compared to the kingdom of God, both sheltering birds of the air of all kinds, and their branches representing the love of God for God's people. One, however, one is the most magnificent of plants - one that anyone could look and see that is a beautiful tree, a cedar tree growing on top of a mountain, majestic in fact. Then there is the mustard bush, the mustard bush that has no purpose. What is it doing here? What am I to make of it? God our Father, whom we look to for our example as to how to be a father, loves each and every one of us, not as a cedar tree, not as a mustard bush, exactly as we are. Loves us for who we are, as perfect in every way, with a balance between humor, and a desire to see us be about the work that we are called to and desiring to make of us an image of the Kingdom of God. Earthly fathers will work to make their household a household that is a safe place, a welcoming place, a place where children can come and find refuge. And so our Father in heaven does just that, except He does so perfectly. 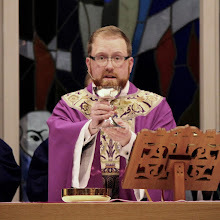 The Church is a place where all the birds of the air, all the creatures of earth, all the sons and daughters of the Most High can come and find a place of refuge, to be called to a higher vocation, and yet be met exactly as we are. Our fathers are not perfect. That's OK. But they see within God the Father, the creator of all things, that image which calls us to something so much greater. 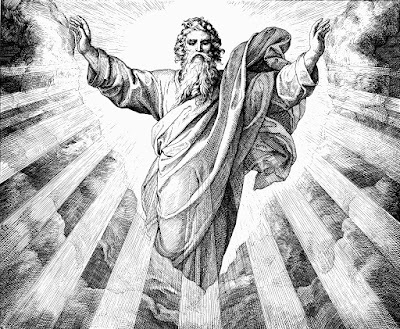 Let us see in God the Father the perfect image of the father. Let us pray for our dads: living, deceased, near, far, let us pray for them. 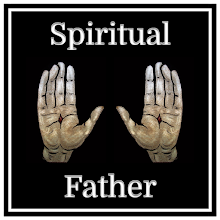 Those of you who are fathers, pray to be the image of God the Father, a Father out working in the world, to see your children as they are, and to help them grow into who they are called to be. We look to the creator of all things, to see us for who we are, and we trust God the Father sees us that way, and we know that each of us are loved so very much. We live in that love and give thanks for our fathers today.